Want to speak Spanish naturally? What’s a 10 letter word for a Spanish word game? My grandmother is obsessed with crossword puzzles. She does at least one every single day and has gotten to the point where she can do them in 10 minutes, flat. Grandma was onto something there: Why not combine the two passions? 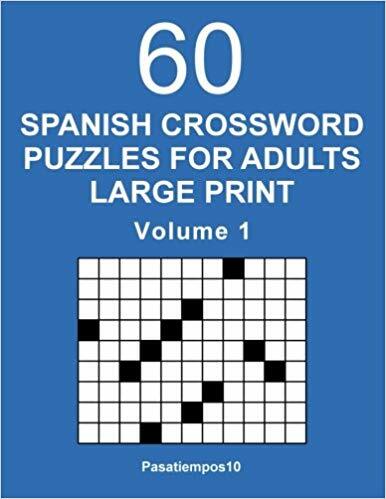 Improve your language skills with Spanish crossword puzzles! While the science is not entirely conclusive, puzzles of all kinds (including word puzzles) are beneficial to the brain. They sharpen your memory and learning skills, which is ideal for learning Spanish. 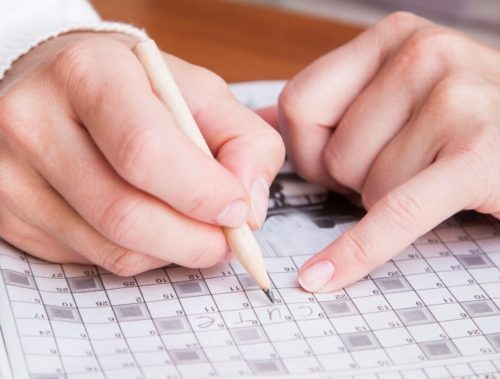 Crossword puzzles improve your verbal fluency, build your problem-solving skills, increase your pattern recognition ability and, of course, they are fun! If you switch your daily crossword to a Spanish one, you will be improving your language skills. Some crossword puzzles are even made specifically for Spanish learners: they teach you new vocabulary words and strengthen your knowledge of existing ones. As one final bonus, doing puzzles in Spanish will train you to think in Spanish. This is one huge step towards fluency! ¡Anda! (Wow!) That is mind-blowing, isn’t it? One thing that drives my grandma nuts is getting stuck on a clue. She wanders around the house muttering about horizontales (across) and verticales (down). Grandma’s sense of pride will not let her use the internet or other resources to solve her crossword puzzles. Do not be like grandma! There is no shame in using resources to help you solve puzzle clues. In fact, it is a great idea! By looking up unknown words, you will be learning new vocabulary and adding to your knowledge base. Use the ultimate resource tool, Wikipedia and its Spanish version. It might not be 100% accurate, but it is great for solving puzzles. Check out Spanish dictionaries and conjugation helpers. There are tons of these online—just choose your favorite. Still stuck? Head to Fsolver, a search engine dedicated specifically to solving Spanish crossword puzzles. You will find new words by looking up solutions. Add them to your vocabulary list and learn them. But words do not exist on their own—use the authentic videos on FluentU to study them in context. FluentU takes real-world videos—like music videos, movie trailers, news and inspiring talks—and turns them into personalized language learning lessons. Click on any word to see it in use in other videos for even more context, and add unknown words to interactive flashcards for further learning. Try it now! Okay, so now you are pumped and want to learn Spanish with crossword puzzles. Where do you find one? Grandma gets her fix from “The New York Times,” but unless you happen to subscribe to a Spanish newspaper, you are probably not going to find Spanish crossword puzzles just lying around. Not to worry! You have an unlimited supply right at your fingertips. Cue Google! Googleé algunos crucigramas en español para ustedes (I Googled some Spanish crossword puzzles for you), so you do not have to do the work. Here are five of the best! The crosswords on this awesome little website come in three difficulty levels and new puzzles are added daily. You can solve the crosswords online by just typing your answers directly into them, and there are even buttons for entering special characters like accented letters in case you are not sure how to do so on your keyboard. Lexis Rex also gives you access to some learning resources and a number of other word games useful for learners, like Spanish “Hangman,” “Bingo,” sentence builders and more. This is as educational as its green parrot mascot is adorable! 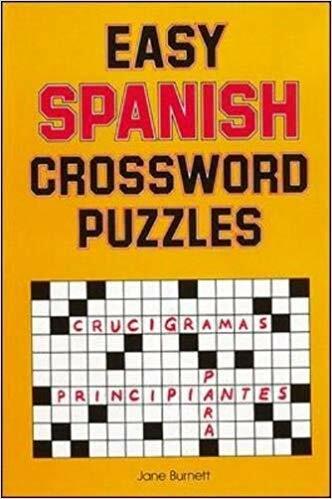 Panagrama allows you to choose between Spanish and English (and even French) crosswords. Puzzles consist of Spanish words, and to solve each clue you simply enter the English translation. Switch to the Spanish version of the site to flip this around (English clues with Spanish answers). This site is a catch-all for Spanish word games, matching games, practice tests, vocabulary building skills and more. The crossword puzzles here are simple and kid-friendly, featuring words on beginner-friendly themes like animals and body parts. You cannot solve these online, but they are printable for on-the-go learning, and come with an answer key. Welcome to the crossword enthusiast’s paradise! This site was made by puzzle lovers and has an entire section devoted to Spanish puzzles. There are many puzzles with clues presented in a variety of different ways, and all of them are solvable right in your browser. Since these are made by other people, keep in mind that the quality varies. Check the ratings and add your own to help others! If you would like a little more Flash in your crossword puzzles, then you will love Mundijuegos. This Spanish gaming website has more graphics and interactivity than your average crossword site. Registration is required in order to access the games, but once you do, you can start playing the Spanish version of Scrabble and other crossword-like word games against other players all around the world. Make some Spanish friends while you play! Do you like your puzzles in physical form? There is something satisfying about putting pen to paper and solving some puzzles by hand! Most of the websites I listed above have printer-friendly versions of their crossword puzzles. 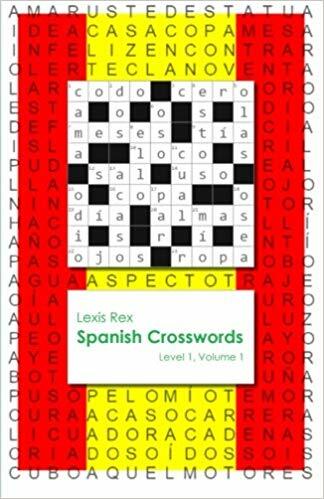 This is the perfect book to ease into Spanish crosswords for beginners. Puzzles are meant for students in particular and have English clues with Spanish solutions. The words used here are pulled from the 2,000 most common Spanish words, making this collection of 125 puzzles the perfect vocabulary-building tool for those just starting with the language. This book is made with learners in mind. The first half has puzzles with English clues and Spanish answers and covers topics like grammar, core vocabulary and Spanish culture. The second half throws you into the deep end with clues and answers completely in Spanish so you can apply what you learned. Mix it up with this collection, which features puzzles with English clues and Spanish answers, ones entirely in Spanish and even ones with Spanish clues and English solutions. The puzzles are thematic, making them great for learning vocabulary concerning technology, food, body parts and many other useful topics. If you are looking for a challenge, you will find it in this tome for native Spanish speakers. Answers are more obscure here, and contain Spanish from all over the world (as opposed to being specific to one region). It will definitely give your brain (and Googling skills) a workout—and expand your vocabulary with words you might not otherwise have thought to learn! Are you learning Mexican Spanish? 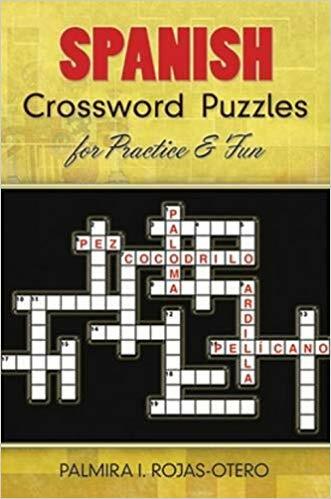 Try these crossword puzzles, created for Mexican speakers and featuring cultural terms and vocabulary specific to the region. Make Your Own Spanish Crossword Puzzles! If you become so obsessed with Spanish crossword puzzles that you blaze through all of these resources, then you can always make your own! You can make them as challenging or as easy as you want and focus on words that you are learning. Making puzzles by hand can be challenging—luckily, Crossword Hobbyist has a handy “create your own crossword” tool you can use. Whether you find them online, pack them into your bag for a lunch break or even make your very own Spanish crossword puzzles, do not overlook these excellent little learning tools packed into a fun game! 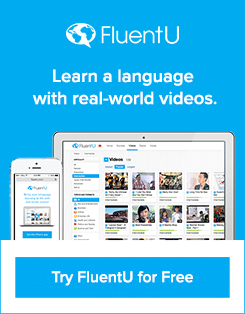 If you liked this post, something tells me that you'll love FluentU, the best way to learn Spanish with real-world videos. The Grammar and Vocab of Animals in Spanish: Learn, Use, Repeat! 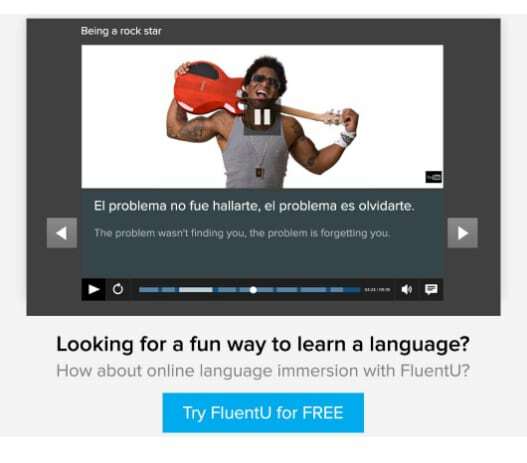 FluentU brings Spanish to life with real-world videos. Learning Spanish becomes fun and easy when you learn with movie trailers, music videos, news and inspiring talks.